There are two things we always say are going to be true for everyone: death and taxes. No one is going to escape the mighty hand of Uncle Sam when it comes to paying what we owe on April 15 of each year, and nothing is going to keep the Reaper from visiting us when our time on the Earth has come to an end. At the same time, we can look for as many deductions as the law will allow on our taxes and we certainly fight the effects of aging on our skin with the best products available on the market. We might not have the money for all of the expensive, age-defying products, but there are some other things we can do. Here are three things you can do right now to fight the effects of aging on your skin and in your life. 1.) Eat the proper foods in proper proportion. Nutrigenomic-based medical foods is the study of foods and food constituents on gene expression, Basically, this means that nutrigenomics is research which focuses on the molecular level of interactions between nutrients and other dietary ingredients on the genome itself, how nutrition affects the genes. Nutrigenomic-based medical foods focus on what makes you, you. This science is what makes it possible to focus on what we have known to be true for some time but haven’t know how to explain. Namely, not every diet works the same for everyone who is on that diet. Personalized diets that work with your body specifically will cause the changes you want to see in the time frame you want to see them in. 2.) The sun hates your guts. Okay. That might be a little harsh, but the sun is no friend to your skin. It burns you and causes wrinkles, liver spots, and sun damaged skin on a daily basis, especially if you go out without any type of sun protection. More than 90% of visible changes to your skin over time, according to the Skin Care Foundation, are commonly caused by the sun, and these changes cause the aging you see in the mirror. People who use sunscreen that is SPF 15 or higher on a daily basis show 24% less aging of the skin than those who forgo the application of sunscreen lotion. Even something as simple as applying body lotion after a shower that has a small amount of sunscreen built in can reduce the effects of skin aging over time. 3.) Fight your wrinkles when they first begin to appear with water. 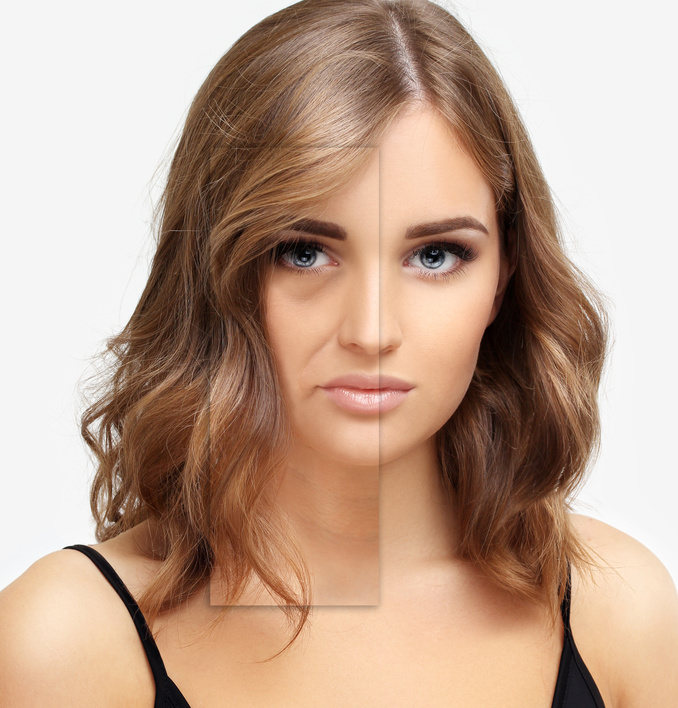 For most of us, the wrinkles we see in the mirror are the first real signs of aging we notice. The good news is, you don’t have to take them lying down. You have two categories of wrinkles: fine surface wrinkles, caused by ultraviolet lights and deep furrows. caused by muscle contractions. A diet based around nutrigenomic-based medical foods can help with the wrinkles you see when you look into the mirror and frown. Eaing properly and drinking plenty of water reflects on our skin, It also reflects on our body as a whole and the way it functions. Every organ and bodily system need water to function properly. Water flushes out toxins, aids in digestion, and carries nutrients to our cells. We can’t do anything about having to pay our taxes or punching out the clock for the final time someday, but in the meantime, taking care of our bodies is something we can do.